This statement is something most of us have heard, but do we really understand the depth in these words?!?! I know I didn’t! Before embracing a healthy lifestyle, I had a bad relationship with food. Food was my comfort when I didn’t have another way of coping with the curveballs life can often throw our way. I used to over-eat and under-eat. There were days I binged on food and days I would eat barely one meal. During that time, I was overweight and feeling very unhealthy; suffering with a slew of physical ailments that were not helping me feel my best. 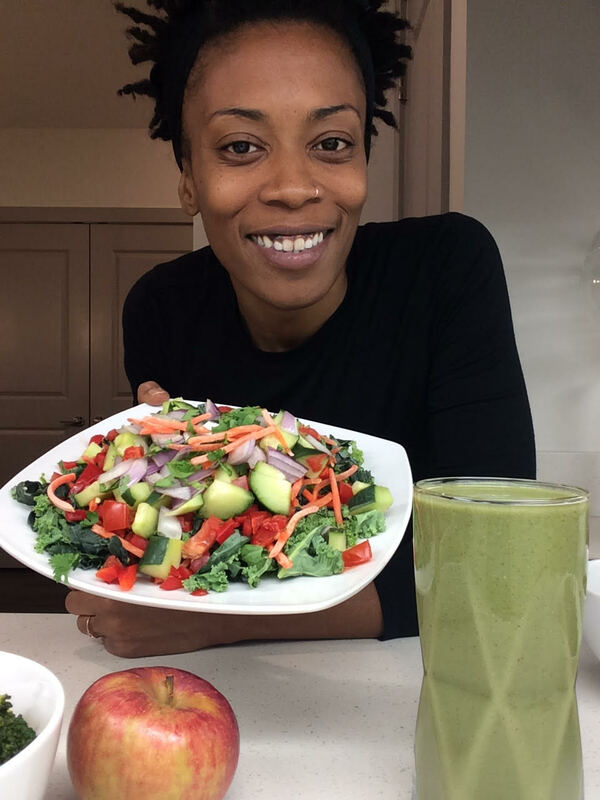 Years later, I discovered the benefits of a plant-based diet, and it changed my life. Those ailments I was dealing with before like IBS, joint pain, restless nights, low energy, unclear skin, and even bouts of depression and anxiety, were greatly minimized after embracing a plant-based, vegan diet consisting of organic, whole-plant ingredients. This was a turning point for me! I discovered that I could heal my body with the foods I chose to eat. But then I learned that there’s an extreme level to eating “too healthy.” It’s possible for the body to be too alkaline, and that can become harmful, causing other types of health risks. I experienced this when I was doing a series of detoxes and shifted to drinking only alkaline water. My body became too alkaline over the next few weeks and I experienced the same digestive issues I had prior to going vegan. I was confused until I learned that the body needs a balance between acidic and alkaline foods. From that point, I realized that life is all about balance. I do believe that we should always strive to eat what makes us feel good and bring us joy. This freedom has helped me have a better relationship with food because I not only am able to eat what I want, but I also get to feel the benefits of eating healthy, fun, nutritious foods. • In the morning, I always start off the day with raw foods like a juice or smoothie. If I am not able to get juice or make a smoothie, then I’ll grab some fruit that I picked up from my local farmers market or received in my weekly Hungry Harvest box. • The next meal is likely a large salad loaded with other vegetables, nuts, seeds, and legumes like chickpeas or black beans. • Then I give myself the freedom to choose whatever I’m craving for dinner. My favorite dinners are lasagna, tacos, burgers, or fried cauliflower tossed in barbecue or buffalo sauce… and the list goes on. This format ensures that I get my greens and fruit in for the day, plenty of fiber and hydration, and I also get to eat some of my favorite vegan-ized meals for dinner. After being vegan for nearly 5 years, I have lost and kept off 65 pounds of weight, haven’t had to count a calorie and still need to get my workout routine back on track. I am so grateful for the balance of being able to enjoy food and still maintain a healthy body.